VIENNA, Va. (WUSA9) -- The Reston Zoo in Fairfax County is facing a federal complaint for the mistreatment of its animals, according to a complaint filed by the U.S. Department of Agriculture (USDA). The allegations made in this USDA complaint include details on the deaths of two animals in the zoo's care, including one that was intentionally drowned. Some of the allegations have surfaced before, but with the USDA now involved, the allegations carry new weight. VIENNA, Va. (WUSA9) -- Leaking acetylene caused a Vienna service station explosion early Friday morning, according to Fairfax County Fire and Rescue Department. The explosion happened around 12:05 a.m. at the building located at 545 Maple Avenue, which is a service station and vehicle repair shop. When crews got to the scene there was smoke and fire coming from the back of the building. Crews were able to quickly put the fire out. Officials said the fuel pumps were open for business, however the repair garage was closed. The one person who was inside of the station at the time of the explosion was able to get out without getting hurt. Nobody was injured. Convicted school shooter, repeat robber detained in Va.
VIENNA, Va. (WUSA9) -- A convicted Tennessee school shooter and repeat robber who was allowed to live with his former counselor in Virginia has been detained in Vienna, WBIR reports. 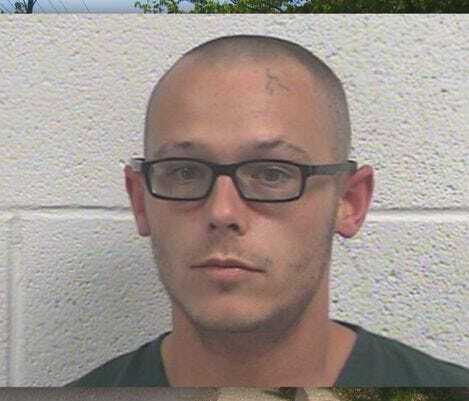 Kenneth Bartley was detained in connection with a weekend robbery of a gas station in Tennessee, according to WBIR. His attorney, Greg Isaacs says Bartley was not in the state when the robbery happened. VIENNA, Va. (WUSA9) -- A motorcycle rider was taken to the hospital after an accident on I-66 in Vienna Friday afternoon. The accident happened near Nutley Street eastbound, according to Maryland State police.